Over two decades later, and that notion is being driven home yet again thanks to a new photo taken by NASA’s Curiosity rover, which is currently scouring the surface of Mars. After eight months on the Martian planet, Curiosity has also challenged our understanding of Earth being the only known planet to harbor life. Not only has the rover hunted down evidence that Mars once contained water, but that it also had an environment sustainable for microbial life. At 100 million miles away, our planet is the merest speck on the horizon of Mars, a small glint of light in a universe still way beyond our comprehension. 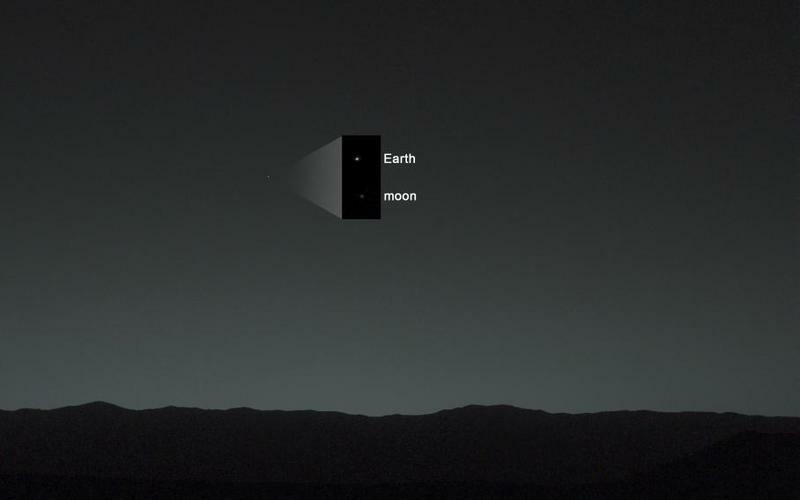 The photo, which was processed to remove effects of cosmic rays, was snapped 80 minutes after sunset on Curiosity’s 529th Martian day, or sol, since landing on the planet’s surface. NASA said if humans were to stand on the surface of Mars, they would be able to see the Earth and the moon no problem, though they would simply look like large bright stars. 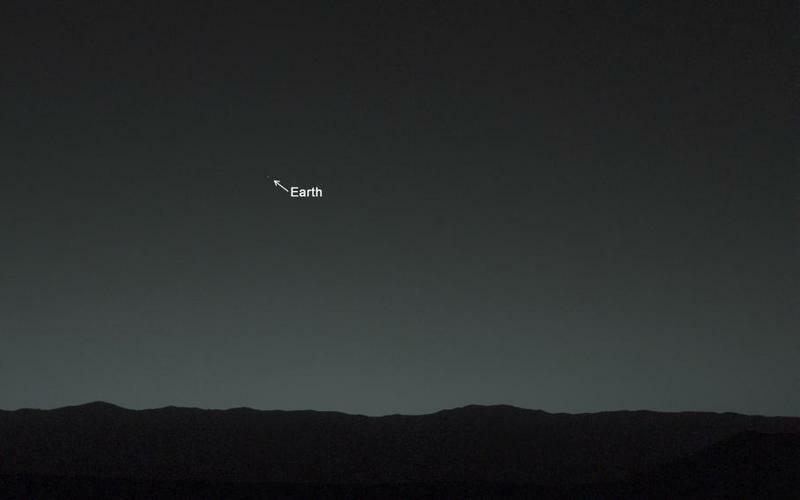 Earth was just a shade shy of 100 million miles away from Mars when the photo was snapped. Curiosity actually traveled a total of 352 million miles before touching down on Mars because both planets are constantly in motion. Look back in wonder indeed.